More than a third of people living in the South East do not take a two-week holiday because they believe it’s frowned on and discouraged at their workplace, a study has shown. New research from British Airways has also revealed that 60 per cent of South East workers did not take a fortnight-long holiday in 2017. Nick Hewer, ex-advisor on BBC One show The Apprentice said: “As an employer, a happy work force is key to having a happy, and most importantly, a successful business. Research from the airline found that, shockingly, more than half of South East residents (54%) have left over holiday allowance at the end of the year, highlighting how residents are missing out on valuable holiday time. 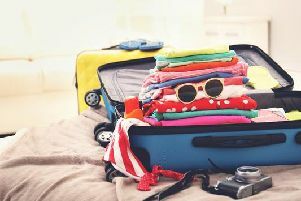 With nearly half of South East residents (46%) spending on average 5 to 9 days on holiday abroad, after only one week on holiday over half (56%) felt they had not had a long enough break, with 50% wishing they had spent more time at their destination during their time on holiday abroad.